University of New Mexico students are working to bring dignity back to homeless people in Albuquerque. To those who have a consistent place to hang their hat, using the facilities might be a given luxury. 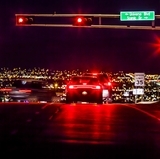 But to people who call the streets of Albuquerque home, finding a suitable place to go to the bathroom or perform personal hygiene is a struggle. 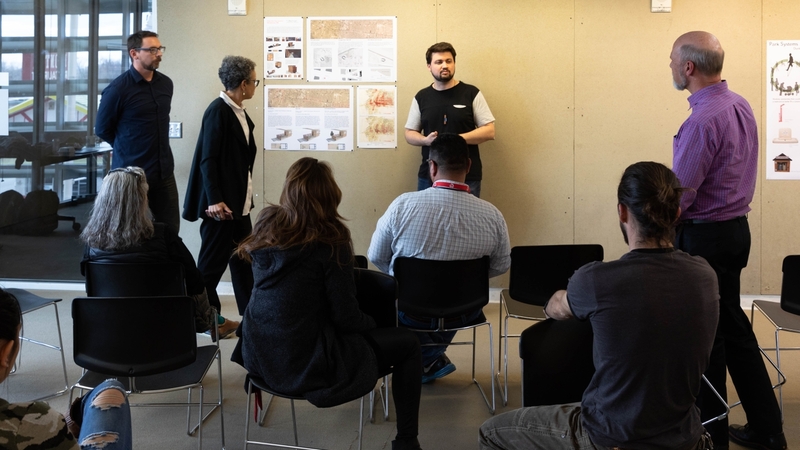 Working in collaboration with the City of Albuquerque and the UNM School of Medicine, graduate students in UNM’s School of Architecture and Planning (SA&P) are developing ways public restrooms can be better incorporated and utilized around public parks. The collaboration was first born out of the UNM HIVE network – an acronym that stands for Health Inclusion Vibrancy and Equity. HIVE is a cross-campus community collaborative of faculty, students and staff dedicated to addressing social determinants of health. The network is comprised of between 130 and 150 local professionals in medicine public health, education, business, law, architecture and planning. SA&P Professor Michaele Pride is part of the HIVE, and says it’s becoming an instrumental way of connecting local resources with innovative projects. HIVE is heralded by Art Kaufman, professor and vice chancellor for community health at UNM HSC, and Geraldine Forbes Isais, dean of SA&P, among others. It brings together resources from across the state to address problems in the community – the most recent of which looks at the issue of public restrooms. 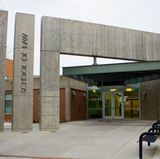 During the early stages of UNM and the City of Albuquerque discussing a partnership focusing on ways to address homelessness, Kaufman presented the problem to the HIVE. Through conversations with the city, HIVE members began discussing a problem occurring at Coronado Park, and other parks around the city that are gathering places for Albuquerque homeless. Coronado Park, at Second Street and I-25, is the pick-up and drop off location for homeless people staying in the Westside Emergency Shelter and has a consistent problem of built up human feces because there are no public restroom facilities in the area. According to the World Health Organization, poor sanitation is linked to transmission of diseases such as cholera, diarrhea, dysentery, hepatitis A, typhoid and polio. In places where people are forced to defecate openly, the WHO has linked a vicious cycle of disease and poverty to poor public sanitation. Although portable toilets were placed at Coronado Park briefly, they were removed after being labelled biohazardous. “We heard that and thought, ‘this sounds like a design problem,’” Pride said. 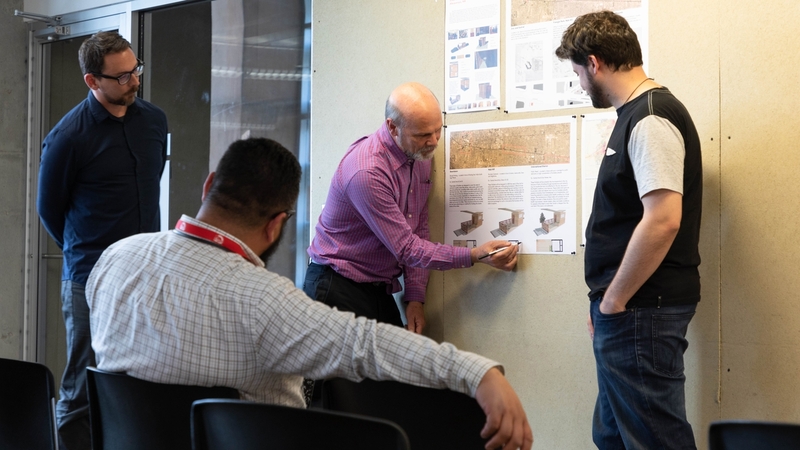 Enter DPAC, the SA&P Design and Planning Assistance Program and second oldest, continually operating community design centers based in a public university. During its 50-year history, DPAC has completed approximately 2000 projects, serving hundreds of communities—large and small—in every county of New Mexico. Working with the City of Albuquerque, UNM DPAC graduate students in architecture and landscape architecture are developing a wide range of approaches to solving the problem, while also considering issues of sanitation, public health, safety, dignity, accessibility, environmental stewardship and beauty. Through collaborative brainstorming sessions, the seven teams came up with 140 ideas, which they then worked with stakeholders –i.e. police/fire/city officials and councilors– to whittle down to seven concepts. 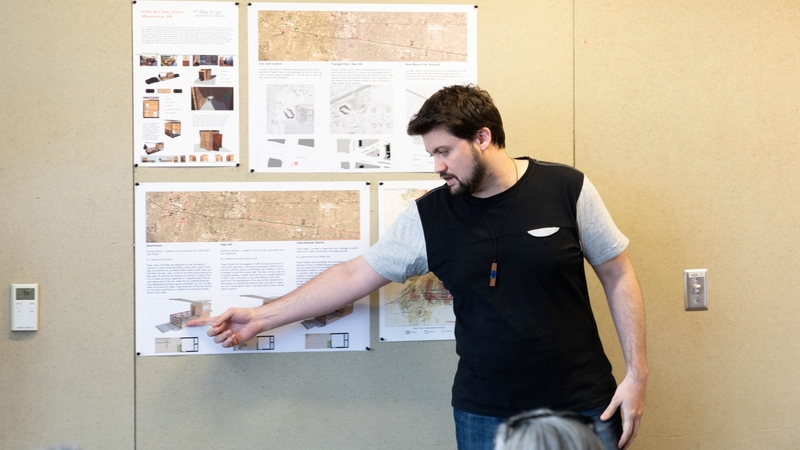 In addition, a Sculptural Infrastructure class in UNM College of Fine Art is working on a parallel project which assesses the intersection of public toilets and public art. The SA&P student’s plans are drawn up and now the next step is to turn the developed options over to the city to consider. 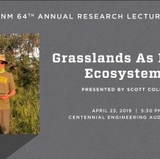 That hand-off will happen at an event held in UNM’s George Pearl Hall Monday, March 18 from 3 to 6 p.m., during which students will present their developed ideas to stakeholders. “Our intent with the stakeholders is to inform and enrich the conversation and decision-making around this issue,” Pride concluded.